Double room with double bed or twin beds, private bathroom with hairdryer, heating, telephone, television and minibar. 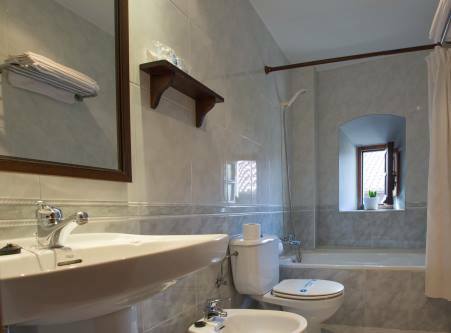 Single room with single bed with private bathroom with hairdryer, heating, telephone, television and minibar. Suite with double bed, private bathroom with hairdryer, heating, telephone, television and minibar. Quadruple room with four single beds, private bathroom with hairdryer, heating, telephone, television and minibar.